What is a Pet Nail Grinder? How to Choose the Best Dog Nail Grinder? 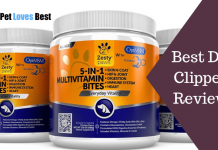 If you want to keep your dog nails healthy, and also escape from the grooming expenses then you need to know the Best Dog Nail Grinder Reviews. They are easy to use, reasonably priced and available at all leading pet stores. 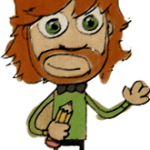 I didn’t find any reason not to use this handy tool though. So, I got one for my pet. Okay so, at first you may find it confusing on operating but you just have to follow the instructions and use the tool accordingly. 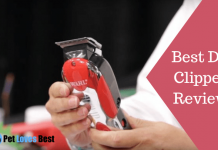 Pretty easy, compact, convenient, and the ultimate grooming tool! Dremel has been in the pet grooming industry for a long time, so it’s a trustworthy brand. The Dremel 7300-PT Nail Grooming tool makes the grinding easy and quick for you. Here the 60-grit sanding drum lets you work on the toe-nails in a safe and harmless way. You can use an array of Dremel bands and sanding drums on the same tool, making it highly compatible. Are you new to the concept of Nail Grinding? If yes, then the next section is written just for you, where I have given some brief on the tool and also on ‘who should use the tool’. Now, if nail grinders are nothing new for you, jump to the Reviews directly! Here’s a brief Overview of the Top 10 Dog Nail Grinder Choices by yours truly. Pet Nail Grinders are nothing but pet grooming tools that help with grinding and does the shaping of the nails. 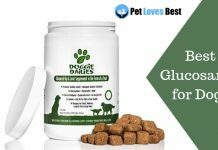 This is the best nail cutting alternative for the dogs who are less fond of the clipping tools. Most of the people refer nail grinders as dremels for the popular Dog nail grinder brand ‘Dremel’. This company is one of the top grinding and grooming tools. The working of a pet nail grinder is way too different from a Nail Clipper. Nail grinders don’t cut the nail, instead, they grind them using a high-speed, round grinder attached on it. The substance used for the grinding is similar to the sandpaper. That’s how a dog nail grinder works! If you are totally new to this nail grinding, get someone who is experienced. Learn how it works, and then try by yourself. Did you know that dog nails need trimming every 4-6 weeks? If you let them grow, and do not pay heed to the nail growth – this can cause health issues like splayfoot which could lead to nerve damage if proper care is not taken. So, dog nail grinders are meant for the Canine pets only. When you hear the nail tapping sound on the floor as they walk, you could know it’s time for the trim. Clippers, on the other hand, demands the user hands to be steady and they should be more careful if your dog keeps on jerking their foot away. While Nail Grinders are safer than the Clippers, and they trim the nails bit by bit instead of cutting them in chunks. Also to mention, a dog nail grinder is also a good option for dark nails where it’s difficult to see the nails. But not all the pets or dogs would feel comfortable with the grinding sound. Grinders do have some grinding and vibrating sound- so it depends on their sound sensitivity too. Dog Nail Grinders are not easy to select. I don’t wish to make an exaggeration here, but that’s a fact. It will be easy if you are familiar with the things-to-take-care. On the other hand, it will be difficult and confusing for a newbie like me! Looking at the nail grinder tools in pictures, and in real – it scared me first. Not scared but worried on the working and usage. Mark, who is a salesperson at the pet care shop first introduced me to a dog nail grinder. That’s how I got the courage to believe in the tool. Replace the old painful clipper with the Dremel Cordless Nail Grooming Tool. Get this Dremel toolkit to carry out a safe and an easy nail trim session for your pooch. 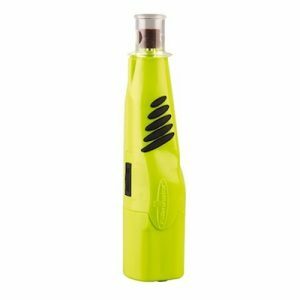 It allows you to carry a quick and safe trimming for your pet, and also makes it easy for the users as well. This best dog nail grinder is made out of high-density plastic, and the rotary support makes it less stressful as compared to the Clippers. It’s made out of high-density plastic, and the rotary working is found to be more effective, safe and less stressing than the clipper one. The battery slot supports the Nickel-Cadmium type. This trimmer comes with two rotation speeds that let you safely grind the nails as per the need. Dremel dog nail grinder makes use of a 60-grit drum for the sanding purpose. Light duty performance of 4.8 volts ensures that the pet nails are trimmed well in the right way. Above all, it’s super easy and fast just like the clippers but definitely more safer than the latter. Next we have the dog nail grinder by Hertzko that goes well for trimming, shaping, and grooming for Cats, Dogs, Rabbits, and even Birds! It’s safe to use and the special ‘Diamond Nail Grinder‘ makes it more safe and effective than a Nail Clipper. There are three size ports provided that you can select from depending on the size of the breed. For example, if your dog breed is small then go for the small opening; for medium or large breeds – go for the medium or large openings. When you are dealing with large pets, you can open the bit covering on the dog nail grinder and then do the trimming using the bit. That’s how convenient and adjustable this electric dog nail trimmer is. A unique kind of mute motor is used for the working, so that your dog doesn’t get disturbed by the noise or the vibration of the trimmer. Once you are done with the grinding work, it’s easy to clean the stone. You can get off any piece stuck on it smoothly and effortlessly. Oster brings you a Gentle Nail trimming solution for both Dogs and Cats! They come with a whisper-quiet rotary so that you can carry out the trimming in a peaceful and smooth way. This dog nail grinder supports 2-speed options and works for all kinds of cat and dog breeds. 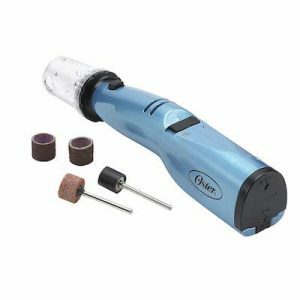 These Oster nail grinders are equipped with all the elements needed for an effective trim. The safety guards provided on it are adjustable and ensures that you don’t trim the nails too far. Also, the fillings are captured inside that offers you a less messy working. Not many tools consider the quality of being gentle, Oster does it for you. Trim the gentle nails of your fur buddy, and maintain them clean. Just like the professional groomers have, even this nail grinder supports the whisper-quiet rotary for the trimming. The cordless functioning makes it easy for the users with the single-handed operation. Choose the Safety Guard opening for setting the perfect nail size and start off the trimming in a gentle way. Motor is not much powerful for large or medium sized dogs. Test it out once at the store, before you buy your dog nail grinder. Are you worried about the increasing nail menace of your canine? 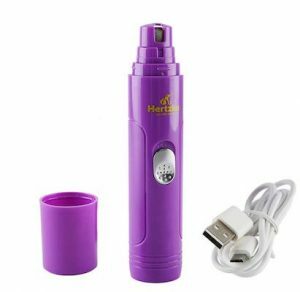 jdibest brings in a Gentle and Painless solution for you with their Electric Nail Grinder tool. You can use it for nail smoothening, trimming and shaping for dogs, cats, rabbits, as well as birds. There are two speeds on this dog nail grinder- high and low, which allows you to gently trim the nails safely and also effectively. With the inclusion of the Mute Motor, you can carry out the process with calmness and more peace. Your pet will actually start liking the grooming session! Three opening sizes are available that you can set based on the length of your pet’s nail. The small or the medium openings on this dog nail grinder will do fine for small or medium-sized dogs. For large pets, you can simply take out the covering and use the entire bit for the trimming. Grinding wheel is pretty thick; it’s durable, and trims your pet’s nail easily. 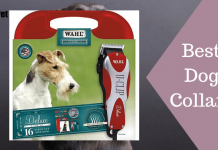 Here, the jdibest nail trimmers for dogs run on batteries! Therefore, no worries of charging or the tension of running out of charge. Batteries also give more running duration. Didn’t find any serious trouble with this dog nail grinder. Gift your pet a comfortable nail trimming experience with the Zerhunt Electric-based Nail Grinder. It has got an easy grip, and the light weight design gives a relaxing time on your hands. There’s a powerful motor on the inside that does all the grinding work for cats and dogs. Tip: If your pet is new to grooming, then give them some time in understanding and believing in the Electric Pet Nail Trimmer. Also, don’t force them for the trimming too, as this can create some fear that may stay forever. What We Liked: I liked the speedy result with less noise and vibrations. Won’t scare your pet. The safe guard on this Zerhunt dog nail grinder cap keeps in check on how much you are trimming. It helps in avoiding overcutting, bleeding, and even the pain. The speed of the dog nail is found to be 6000rpm, which is on a higher side compared to the standard grinder tools. Although a powerful motor is set on the inside, the grinder doesn’t make any loud noise during the operation. Pets can choose their suitable nail size and set the grinder accordingly. There are three port options for different sizes; suits well for small and medium sized dogs. 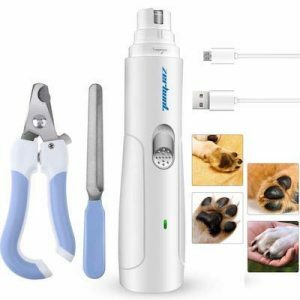 For the charging, this dog nail grinder comes along with a USB cable – so you charge it in your convenient way. 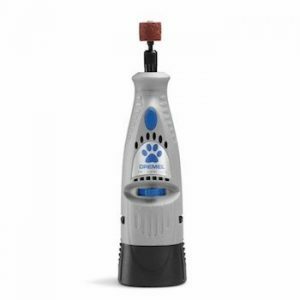 This electric nail grinder is specifically designed for large dog breeds, and thick nails. If your requirement matches with this, then you should definitely get one of these MorePets Nail Grinders. 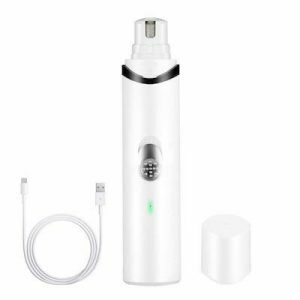 It is a rechargeable one, and comes with 3 size ports – so you can actually set them as per the breed size. So, why should you go with this pet nail tool? This dog nail grinder is quiet in operation as it only creates 40dB sound during the grinding and trimming. It’s fast, safe and a less stressful to the dogs than the clipping tools. There’s a soft rubber grip on the handle that gives a non-slip quality for the users. With the nail guard cover support, you can carry out the nail grinding for different pet sizes. MorePets dog nail grinder still can be used for small, medium and large dog breeds. You just have to adjust the covering, and carry out the process. Another dog nail grinder that I would recommend is the SKILEEN dog toenail grinder. It comes with a chargeable feature, and definitely a pleasing choice for the price! Unlike the clippers, these grinders are more safe and the mute motor keeps it less noisy on trimming. You see the motor is super mute yet does a super powerful job. As you set the model, the grinder will gently grind thin layers of the nails making less noise and less vibration so that your pets could enjoy the grinding time without leaving them scary. What We Liked: This one’s a budget pick, so that’s the best thing about the model. Worth the price! If your pets are already terrified of the thought of nail grooming, then SKILEEN has got you covered with it. Try this electric grinder just for once, and know the difference. You could get the trimming done in a safe and peaceful way. The package also includes one USB Cord for the charging purpose. Just set the USB cable on to the grinder, and plug it. Once the gadget is fully charged, you can carry out the grinding for a max 3 hours! While the dirt that gets stuck on the grinder can be easily removed by cleaning. For effective cleaning, you can first make use of an eraser and then use a tissue for cleaning it again. This will help in getting off the dirt effortlessly, and also in less time. Nothing problematic reported. Shall update the space if needed. Yet another rechargeable dog nail grinder by URPOWER, and to begin with – the grinder is quiet and powerful in working. It has got the diamond bit grinder which is delicate and caring on the paws. 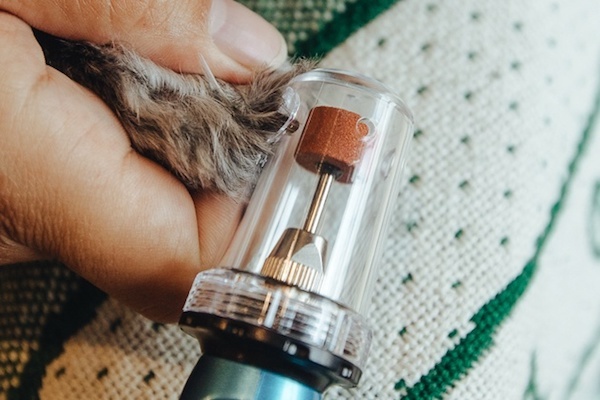 You can use this grinder tool for both cats and dogs. Next highlighting factor is indeed the mute motor support, your pooch will have a nice, fun time while you get the nail grinding done. Comparing the dog sizes, I find this dog nail grinder more suitable for the Small and Medium Size breeds. Less suggested for the large breeds. You can get in touch with your vet, and know the right solution for this. This amazing, portable dog nail grinder comes with a mute motor, and the brass shaft within that allows you to gently work on the nails. It does make a soft sound but that won’t scare your pup. There are three sized ports available here, so you can adjust them according to the breed size. The sound produced on this is within the range of 60dB. If this one’s your first ever dog nail grinder, then introduce it to your pooch first. Let them sniff it if they want. Turn the grinder on and make them aware of the rotating grinder sound. Then, let them sit beside you while you are running the tool on the other hand. This will help them in relaxing and get them comfortable about the grinder. After this, slowly place them near their nails, and get the nail grooming done. We got the ConairPRO Dog Professional Grinder by Conair who is also into the production of beauty accessories and appliances. It is a good alternative to the nail clipping, and the grinder rotates to smoothen and shape your pet’s nails. 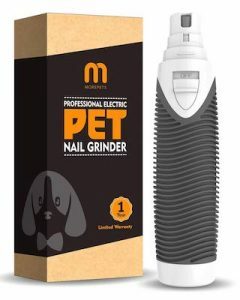 You can get this Professional Nail Grinder for your dog, and leave a pawsitive impact of Grinding! 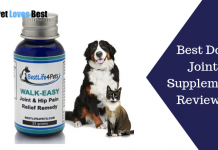 It works for all size dogs and eliminates this trouble of going too short or too far with the grinding. There are specific port sizes provided, you can choose the suitable one and start with the grinding. What We Liked: The quality of the Grinding tool, considering the price. The motor is pretty quiet, but it’s powerful in operation. This efficient working, along with lightweight design gets you the grinding work in minutes. 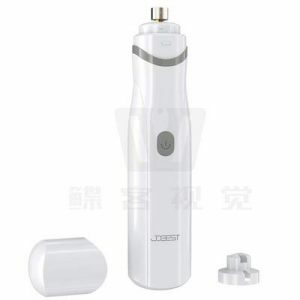 Another important quality of this ConairPRO Dog Nail Grinder is – it’s too straightforward. There’s no unnecessary hype or over-emphasis about the working. The description part is precise, and the tool includes all the features required for a fine nail grinding. Tool indeed operate with high power, but it’s less suitable for thicker nails. You will have to put in extra efforts to get the grinding done in this case. When it comes to pet health, grooming and taking care of the nails should also be considered. Only a well-groomed pet is a happy, healthy pet. It’s also not possible to meet your pet’s stylist every now and then. With the help of the Furminator Dog Nail Grinder, you can keep the nails clean as well as safe for others. The Furminator allows the user to carry out the nail grinding with ease. 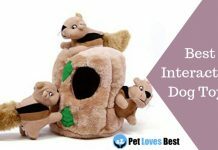 It comes with a 2-speed setting, cordless design and works in a way ensuring proper safety for the pet as well as the owner. What We Liked: Ergonomic design, and the LED feature offering you a better Control. The pet nail grinder is delivered with 2 replaceable grinding bands, and 4 AA Alkaline batteries. Things made all easy and convenient for you! Also, the design of the dog nail grinder follows an ergonomic style that makes it easy on the handling. There’s one LED equipped on the tool that simplifies the nail care and promotes better health with trimmed nails. A bit noisy; not a high sound still it can scare your pet if they are sensitive to sound. So, hopefully your got the best pet nail grinder from the reviews. But are the reviews and the ratings enough to choose the right dog nail grinder? I am afraid. There are certain factors and qualities that make a tool likable and recommended. This holds true for the Nail Grinders too, and here’s the go-through guide for the same. Like most of you guys even I was confused as from where to start for dog nail clippers reviews. Is it the reviews or the factors more important? The thing is you need to have a basic idea on the kind of product you wish to buy. Most important isn’t it? The grinder should be comforting for your dog. It should not have sharp edges, and the bit should be a fitting one for the nails. This one’s for the user. Not only for the dog but it should be easy to lift and use on the user. If the dog nail grinder is heavy, then you may probably discontinue using it after some time. Choose the grinder in a way, ensuring that it’s easy on your hands and operate. Not all the grinding tools got the same Grinding ability. Some of them are suitable for small dog breeds or another pro-grinder seems effective for large dogs. This way, each dog nail grinder has got different capacities, check on the Grinding Power and select the one that you need. You can either choose the Battery-supported or the Electric Nail Grinder. Both of them are equally good in performance, and overall working. If you are interested in a Battery-based model with a chargeable quality, then look at the Battery life you are provided with. The battery life should be a minimum of 3 hours. The other features that you need to take a note include the Built quality, rotation speed options, Safety Guards. There are a lot more but I guess would top the list for me. Check the quality provided, and then proceed with the selection. Rotation speed allows you to set a preferred speed for the grinding, it would be either Low or High. Safety Guards make the grinder suitable for different size breeds. 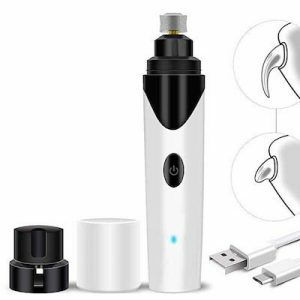 While reading out online dog nail grinder reviews, I found out that most of them have not specified how important is to know the right way of using a nail grinder. Not that I am complaining or comparing, but it’s something that you need to seriously know. Hold your pooch in a steady position, and keep the paws in an extended way. If your dog feels uncomfortable, then let them adjust first and then bring them back in the previous position. Grind one nail at a time, and place the dog nail grinder near the bottom part of the nail. Start the grinding, and slowly bring the tool around the nail to the top side of the nail. Once you reach the top, go back to the starting point and do the grinding thing again. Keep on repeating the same step till that sharp end of the nail is not reduced. Once you feel that you are done with the shaping, stop the grinding and start a circular grinding on the nail for smoothening the nail surface. Repeat the same for each of the pet’s nail. So, that’s how you grind your pet’s nails. Make sure that you take all the precautions, and keep it all calm before starting it off! When I say Nail Grinders, it’s more like a generic term. A tool that can be used for a variety of animals like dogs, cats, birds, etc. But when I say Dog Nail Grinders, I am being specific to Dogs only. Just to remind, that the tools listed here are preferred for canines, while a few of them are appropriate for other animals as well (only if mentioned in the review). Are you convinced with the Dog Nail Grinders? 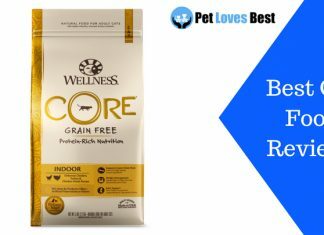 Willing to try for your pet? Let us know in the comments! Next article25 Best Cat Instagram Accounts to Follow Right Now!